PAVE HISTORY WITH A BAMBERG COUNTY BRICK PAVER! We have multiple options for securing your legacy, or that of your family, in Bamberg County. Order a brick for underneath the Clocktower next to the Bamberg County Courthouse Annex. Click here for the form. NEW! 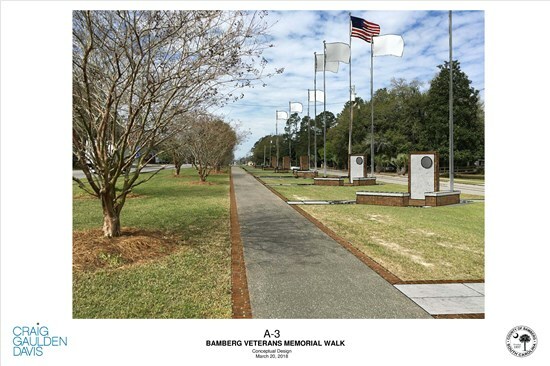 We are accepting orders for the brick pavers for the new VETERANS MEMORIAL TRAIL! Order a brick to commemorate your military service or one of your family members. Click here for the order form. Please submit all order forms with the correct number of characters! 18 characters (includes spaces and symbols) per line allowed.